BKS Iyengar said, "Live happily and die majestically." A fond farewell to him, as after 95 rich and vibrant years he ventures into the beyond﻿, attains auspicious rebirth or release from samsara, the cycle of birth and death. Iyengar led by example, inspiring countless yogis to go beyond their perceived limitations, to aspire to their full potential, and to honor and treasure the teachings of yoga without diluting the lineage, discipline and dedication that kept it alive for thousands of years. His children, his students and his books, Light on Yoga, Light on Pranayama, and Light on Life, will continue to keep his teachings alive for countless more. For more inspiring quotes on life, yoga, and your body from this great modern master, link to this article at Care2. Noble Teacher, may your journey be a peaceful one. Thank you. Jai!! Tara!! 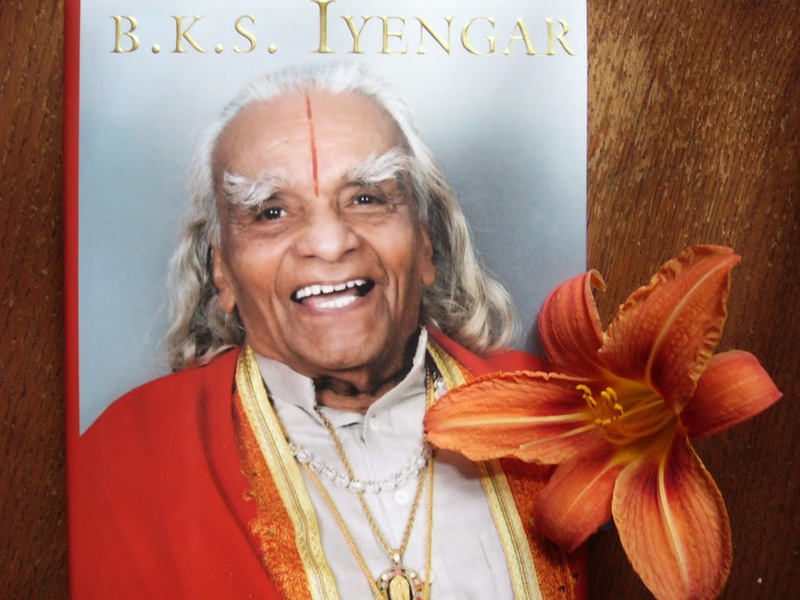 Thank you for your beautiful and loving words for BKS Iyengar. I know they come from a space of love and truth within you. Love the photo you posted of him (with the flower from your garden)!! We don't often see pictures of Guru-ji looking so blissfully smiling. Om, Om. Awww, thanks :) Jai Ma!